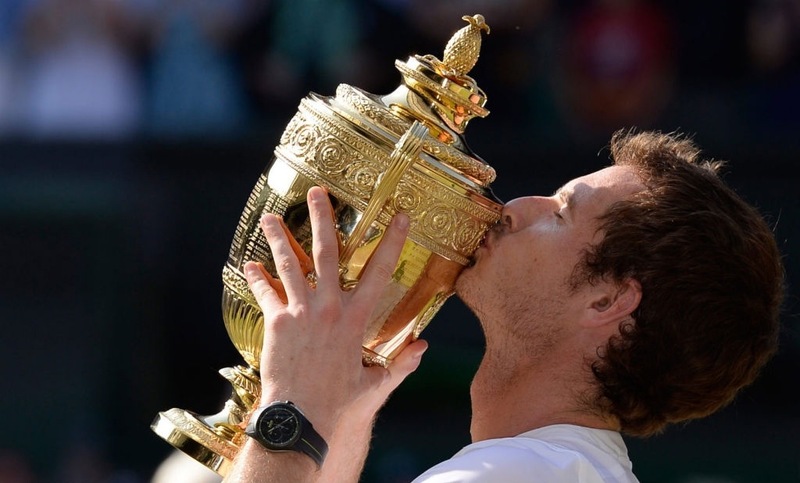 There is no one more deserving of a championship let alone a Wimbledon victory then England’s own Andy Murray, who has justly or unjustly carried the burden of futility of past Englishman to end the 77 year drought. This was an epic, hard fought three set victory over Novak Djokovic one of his main rivals and was defeated by Murray in last years US Open. Andy showed reckless abandonment with his body, rained in aces, forehand winners that could be heard across the pond, and forced Djokovic into 40 unforced errors the last giving Murray his most sort after win. As the crowed roared at Centre Court and all over England, there was a special showing of pride from the community of Dunblane, Scotland the home town of Murray that was the site of a horrific elementary school massacre in 1996 also witnessed and survived by Andy. This victory, in a sense wasn’t just for England but for his home town, the lives lost, and the survivors. They are now rejoicing with Murray after a long journey which tested his grit, resolve, and perseverance. I also guess we all share in your lose, pain, and victory, thank you Andy Murray for showing us how to be a true champion and better human beings. Temperance, Michigan : A couple of young families stay involved in appropriate wranglings of a critical auto accident and after this a new highway wrath event. Each young families concerned are classified as the Beales plus the Krells. 31 yr old Timothy Krell had been placed into offender if you are the explanation for a mishap that fatally killed Charlie Fackelman and also brought about long-lasting paralysis incident associated with Stevie Beale.